Your child is welcomed onto the mat and into an engaging journey through the Indonesian jungle! 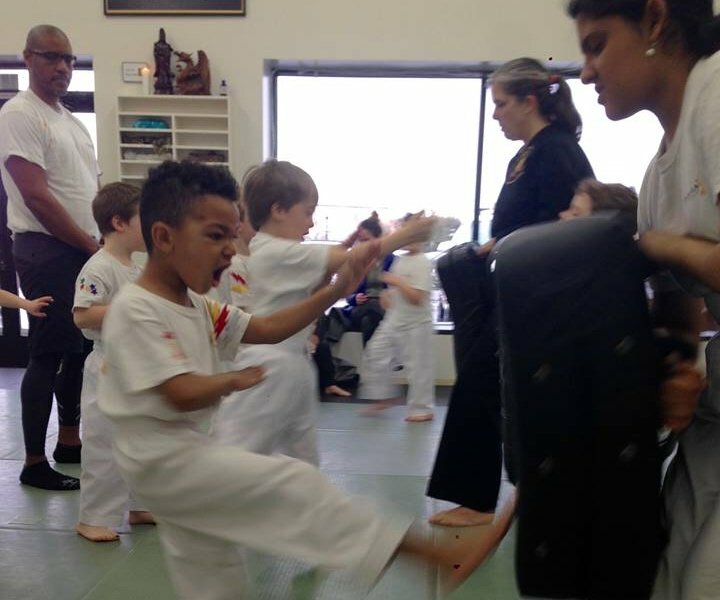 They will learn essential elements of this holistic martial art, and self-defense skills that last a lifetime. Your Little Monkey will be guided, pushed, nudged, and challenged along a path to self-discovery and empowerment. As a parent, you will have new allies and a supportive community to walk alongside you in what can easily be considered the most important journey of your lifetime. Raising a whole, healthy and happy human being! Your child will develop basic skills they need in order to stay safe when they step out from under your protective wings. Little Monkeys Pathway -- Only $79/month -- Enroll Now! Curious about where this journey might lead your child? Director, Technical Delivery Transformation, Tantalus Systems, Inc.
Who is teaching my kid? We are! Jeff and Silvia are the owners and Head Instructors at Naga. We believe your child deserves the most experienced instruction so they start their journey off with sure footing. As you know, your child is developing at lightning speed right now, and with our experience, educational background and training, we are up to the task! 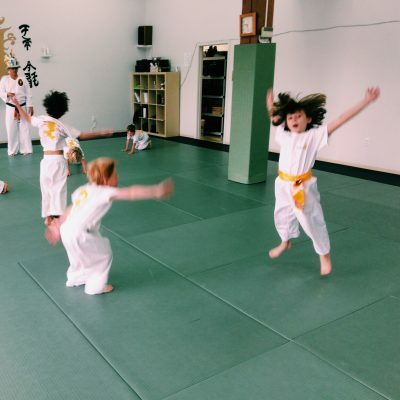 We want your kid to have fun, so we are creative about the way we approach lessons and progression. We believe that a gentle but firm hand is important so that your child feels safe but leaves each class feeling better/bigger/stronger/ than they did when they got here. Your child steps onto the mat and into our hearts and we are greatly honored that you share them with us. My child is almost 7, can we just start in the Tigers Program? Most six year olds benefit from learning the fundamental skills and basic expectations in Little Monkeys before they jump into Tigers training, even if it’s just for a few months. We want your child to feel confident and prepared, both physically and mentally as they continue along their training path. As you know, all children are unique and develop differently, so we will use Little Monkeys to evaluate your kiddo and promise we won’t hold them back if we feel they are ready! Why aren't there more classes? You are looking for the best for your child. Not just an “activity” to keep them busy. 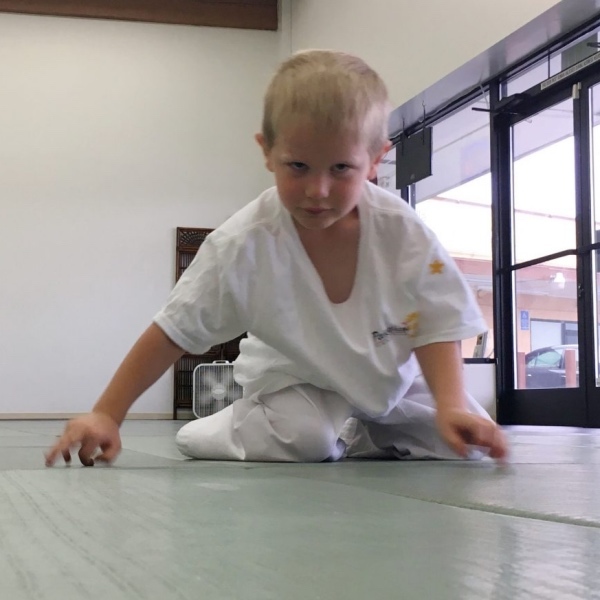 We’re pretty sure you won’t find another martial arts school in the Portland metro area where the head instructors teach the youngest students. At Naga, Jeff and Silvia are committed to investing their time, wisdom and energy in your child. This is a significant first step of an amazing journey for your Little Monkey and he or she deserves the most experienced instructors. That said, in answer to your question, Saturday mornings are one of the few times Silvia and Jeff can teach together that is convenient for families as well. Besides, there will be lots more opportunities to train as your kiddo develops. Enjoy the simplicity of this moment! We do! Little Monkeys is one of our favorite classes to teach. You’ll see why when you come for your first free class!